SFDC Change Delivery What if there was a way to manage SFDC change with certainty. Do you feel like you drive blindfolded with every Salesforce system change you make? Do you wait by the phone, dreading the calls of missing reports, broken workflows and who knows what? What if there was a way to manage Salesforce change with certainty? A detailed summary of entities impacted by: daily modifications, scheduled releases or major projects. A list of development and customisation tasks, derived from project scope and assigned to team members. Test plan scoping according to impacted entry points. Continuous risk assessment and multidimensional views of potential risks. 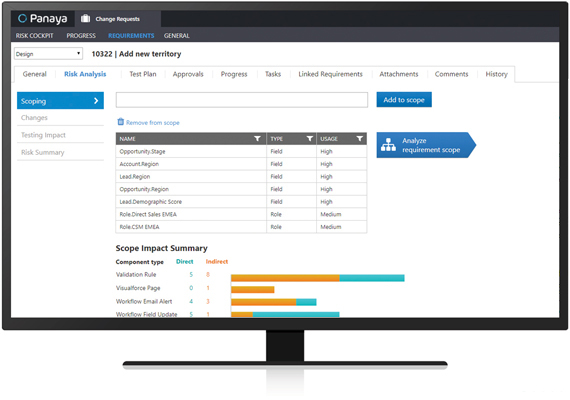 Resolve potential change delivery risk and ensure the quality of your Salesforce org. Gain an immediate view and an informed estimate of the potential impact of change including testing efforts. 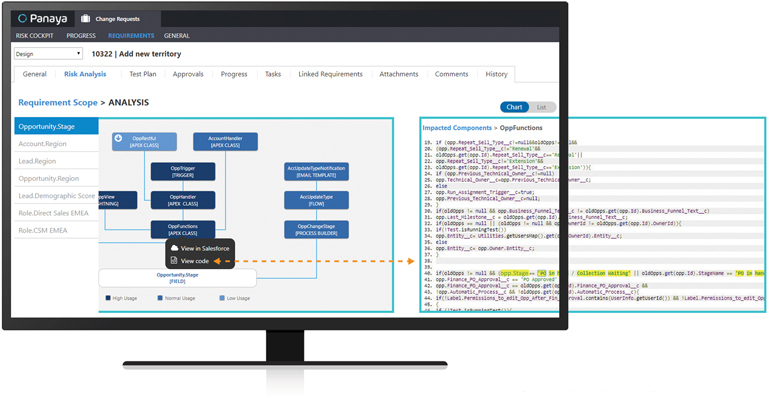 Pinpoint your development needs with an accurate view of code change highlights, usage rating, dates, and touchpoints to external applications.